MN. Parent Magazine-Sept. Issue – Weekend hikes, near and far! Posted bykellyjomcd	 September 3, 2013 September 3, 2013 1 Comment on MN. Parent Magazine-Sept. Issue – Weekend hikes, near and far! Hiking with kids is a great way to keep them connected to the outdoors, but it can be challenging for the parent planner. Take our advice: don’t choose anything too long or strenuous for your first couple of outings. 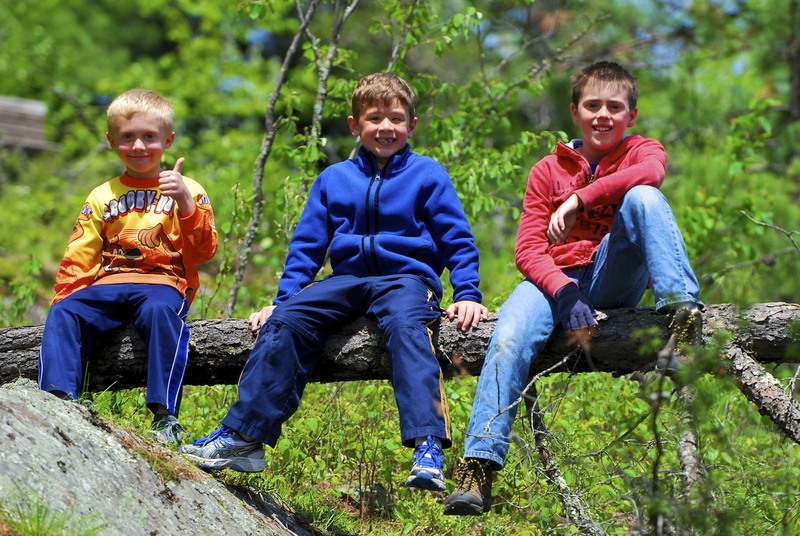 For kids, the hike is about adventure. Pick a trail that has some features, whether it’s a waterfall, cliffs, or a stream. It gives them a goal to reach. Kids are natural explorers, so plan plenty of time for it—you’ll be traveling at the child’s pace. Making the hike fun is key to success. Oh, and pack lots of snacks. Choosing a destination can be the trickiest part of the whole process. Luckily, we Minnesota parents are sitting on a gold mine of parks and forests. Minnesota has a wonderfully diverse state park system: over 227,000 acres in 73 parks and recreation areas. (That comes down to 1,030 miles of hiking trails.) The trick for us is narrowing it down. Nice touch: The historical aspects of this park make it a good day trip for many reasons: after hiking, you can explore the fort, which dates back to 1820. There is also excellent birdwatching due to its proximity to the Minnesota Valley National Wildlife Refuge. The trails link to Minnehaha Park and the Minnesota Valley National Wildlife Refuge. The summer hiking trail is 18 miles long, and is easy to moderate. It offers an array of things to look at, which with kids’ ever changing attention spans, is perfect. (I’d suggest just doing part of it.) The trails lead through wooded areas, but also along rivers and lakes. Pack a lunch and use one of the sheltered picnic tables near the visitor center, then go inside for the interpretive exhibits (and a bathroom break) afterward. Nice touch: Glacial potholes (the world’s deepest) and a waterfall! Bonus: watch for rock climbers on the cliffs that line some of the trails. An easy walk to the water will reveal paddleboats and kayakers. There’s the self-guided Sandstone Bluffs Trail (one mile), and the River Trail is two miles. The four-mile hiking trail is more rugged, with countless steps. Skip that one for now. There’s commercial and individual rock climbing permits offered at Interstate, and kids have fun watching the experienced climbers scale the boulders. This park has naturalists galore, and in September and October activities include prepping for a fall hike, Autumn Adventure Scavenger Hunt, and Leaf Art—all with their on-staff naturalists. Nice touch: It’s along the banks of the St. Croix River and is a migratory pathway as well. There’s a self-guided wheelchair accessible trail that begins at the picnic grounds (Riverside Trail) that is about 1.5 miles, dotted with interpretive signs. The other trail, 12 miles, ranges from easy to difficult at times, as it winds through wooded areas as well as wetlands. Dogs are permitted, as long as they are on a short leash. There are also a variety of programs offered year-round, such as a Voyageur Encampment Weekend the end of September, and Starlight Starbright and Geocaching101 activities (October). Nice touch: It’s a good place to see the “Big Woods”—maples, oaks, and basswood forests—one of the few remaining ‘stands’ of trees. The hiking trail is 14 miles in length, and winds through wooded and rolling terrain. The fall colors are magnificent. There are two self-guided trails—Zumbrunnen and Forest Shadow—each is one mile each in length, and feature signs, a boardwalk, and observation points. One more thing: 2013 marks the 50-year anniversary of this park, so watch for anniversary events and special drawings throughout the year. Nice touch: Afton doesn’t disappoint with the scenery, as it offers prairies, deep ravines, and bluffs that overlook the St. Croix River. There’s a 20-mile hiking trail; however, there are shorter choices, such as the .75-mile self-guided tour that begins at the visitor’s center or the four mile paved bike trail. Afton is about 40 minutes from downtown Minneapolis, so close enough to be handy, but far enough away that your family will still have that ‘in the middle of nowhere’ feeling. Nice touch: After you’ve made the kids hike, there are plenty of other options for entertainment, including swimming and water slides, and horseback riding. Miles upon miles of paved, limestone aggregate, and natural surface trails are offered in a large loop, with additional trails shooting off the main area for an additional easy workout. They are multi-use trails, so walk, bike, or rollerblade to your heart’s content on this 2.5-mile beauty with stretches of sun, coupled with shade from the impressive oak stands. Nice touch: Considered one of the best-kept “secret” trails, it wanders 4,600 miles and stretches across seven states! The goal is not to hike the whole thing, of course, but sections of this trail are great for families. The trail enters Minnesota near Jay Cooke State Park, where the Superior Hiking Trail begins. You can choose the area and the scenery, as this path really offers it all. Even the City of Duluth’s leisurely lake walk is part of this trail! Year-round state park permits are $25, and one-day permits are $5. The year-round permit provides unlimited access to all 76 Minnesota state parks for a full year from the month you purchase it. (And if you needed more incentive, by purchasing the permit, you help maintain and improve the programs at the state parks.) You can get the permits from the DNR, the MN DNR License Center, or at any of the state parks, which have self-serve kiosks or front offices. Note that regional parks will have separate fees. 1. Water bottle (.5l-.75l). Something small to carry and to keep hydrated. Keep them drinking water to prevent heat exhaustion, which can occur even in the balmy days of fall. 2. Hiking shoe. It doesn’t have to be latest and greatest, but something that can grip in loose dirt and mud will keep the trail walks going. 3. No cotton clothing. When cotton gets wet it stays wet and nothing ends a trip faster than a cranky kid. Synthetic shirts and pants dry fast and protect even when wet. 4. Backpack. Something your kid can load some of his or her own stuff into (i.e., snack and water, plus a treasure found on the path) to contribute to the family trip. 5. Sunscreen. When you are out for a day/weekend a sunburn makes it harder to enjoy. 6. Hat (brimmed or baseball). Something for a little more sun protection. 7. Rain gear. Conditions can change quickly and being prepared will keep everyone calm and happy. 8. Snacks. A simple granola bar or even a Clif for Kids snack will keep the youngsters fueled for the next leg of the trek. 9. Magnifying glass. Something to explore leaves and bugs with. 10. Bug net. Find butterflies and fire flies and get a closer look by catching and releasing. Alt 1. Walking stick. If they are tired or need a little more leverage on an incline/decline a collapsible walking stick will keep the trek moving forward to the next spot. Alt 2: Binoculars. Best way to see birds and other critters up close. Cool, I’m looking for hikes around the Twin Cities. Moved here last year.